The World’s Park: Reconnecting a Regional Park with Its Neighbors is a community engagement partnership between the New York City Parks Department, the Queens Museum, and Design Trust for Public Space, focused on equipping people from diverse communities with the knowledge to seek creative improvements for Flushing Meadows Corona Park (FMCP). 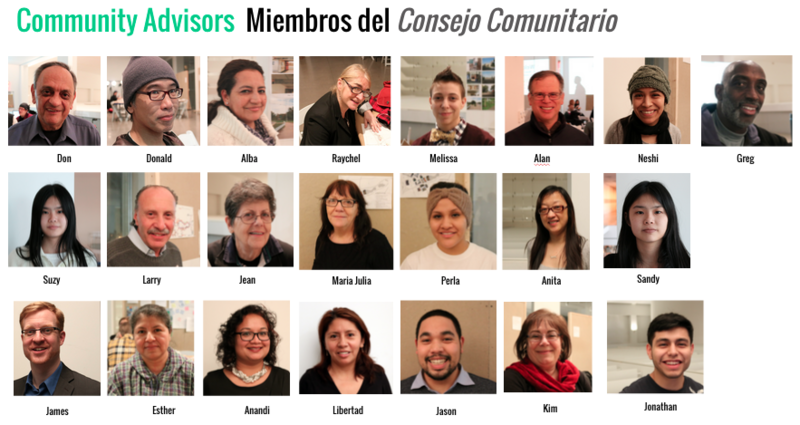 The World’s Park community advisors, an initial group of active park users and advocates, have been participating in a rigorous learning experience and design collaboration focused on addressing FMCP’s most pressing ‘connectivity’ challenges. 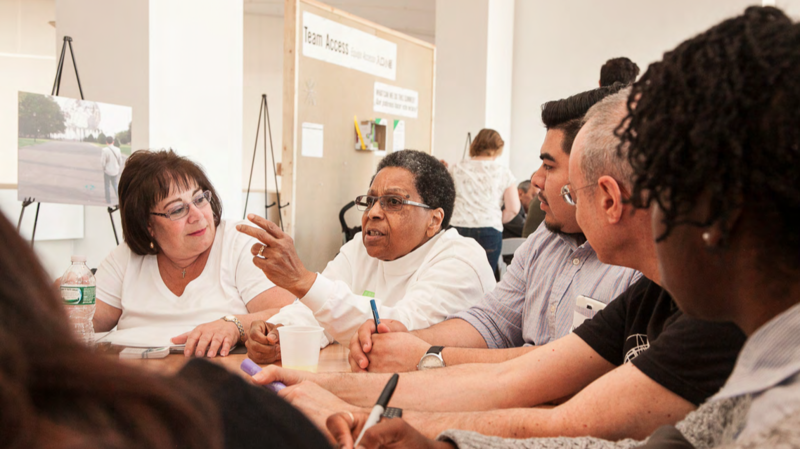 The group has been meeting since December 2014 and, with support from the Queens Museum community organizer and a team of Fellows from the Design Trust for Public Space, have been researching and developing imaginative concepts that highlight opportunities to address park access and wayfinding, share park history and cultural resources, and provide programming for various age groups and abilities. 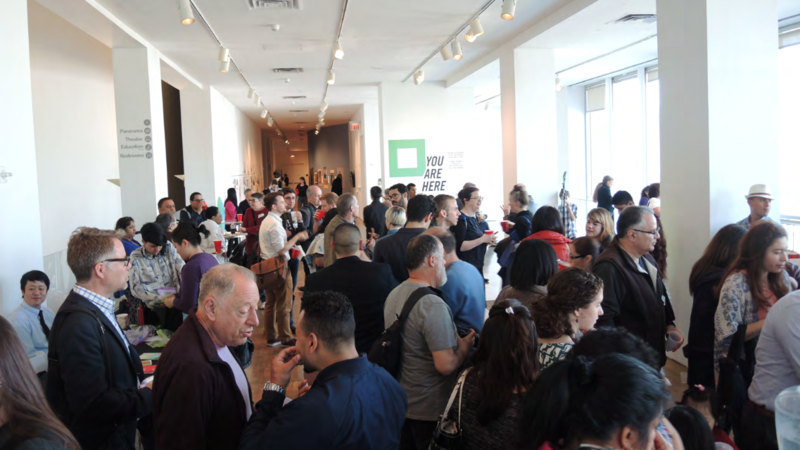 In 2014, with the intention of building on the strong community momentum generated by local organizations who came together to protect the park from commercial developments and raise the issue of park equity, the Queens Museum and NYC Parks submitted a proposal to the Design Trust for Public Space, as part of their 2014 request for projects called The Energetic City: Connectivity in the Public Realm. 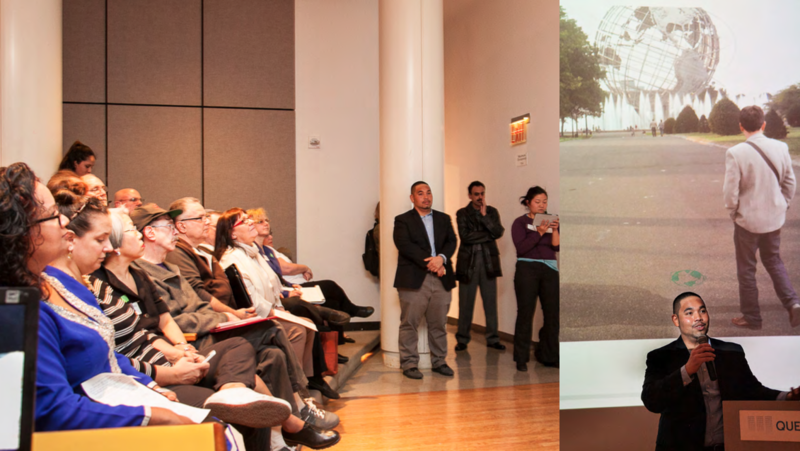 The proposal outlined an innovative plan for seeking community-driven proposals for improving connectivity between the park and the surrounding neighborhoods by recruiting neighbors to participate in an experimental ‘Community Design School.’ The process involved extensive outreach to every neighborhood surrounding the park and to a wide variety of civic, immigrant, and environmental stewardship organizations that had been involved in the park’s protection and care. 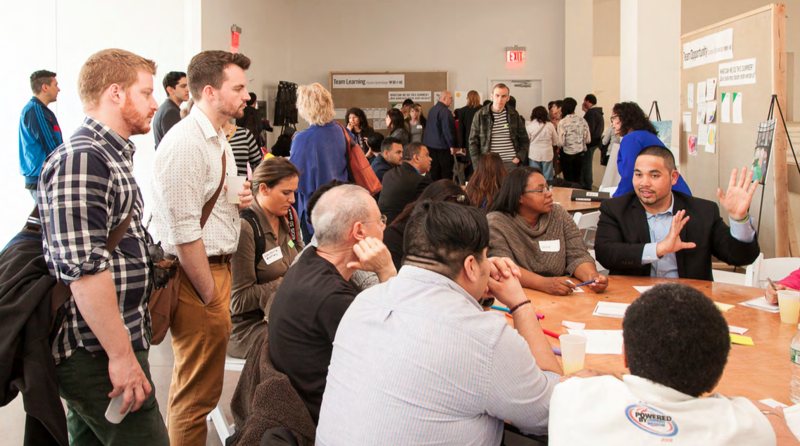 The process also involved recruiting a Design Education fellow and a Participatory Design Fellow to co-facilitate the Community Design School along with the Queens Museum’s community organizer. 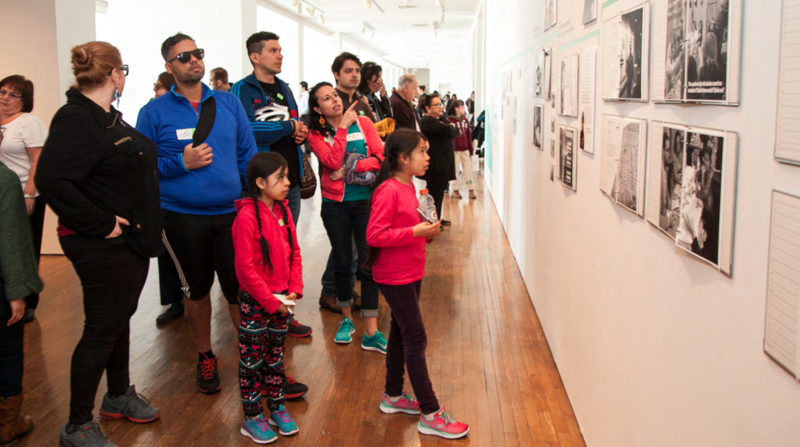 On April 12, 2015, the World’s Park community advisors, fellows, and partners opened You Are Here: Creating a New Approach to Civic Participation in the World’s Park, an exhibition at the Queens Museum to culminate the first phase of The World’s Park project. The World’s Park is supported in part by an award from the National Endowment for the Arts. Support is also provided in part by the J. M. Kaplan Fund, Surdna Foundation, Kresge Foundation, Lambent Foundation, New York State Council on the Arts with the support of Governor Andrew Cuomo and the New York State legislature, and by public funds from the New York City Department of Cultural Affairs in partnership with the City Council. 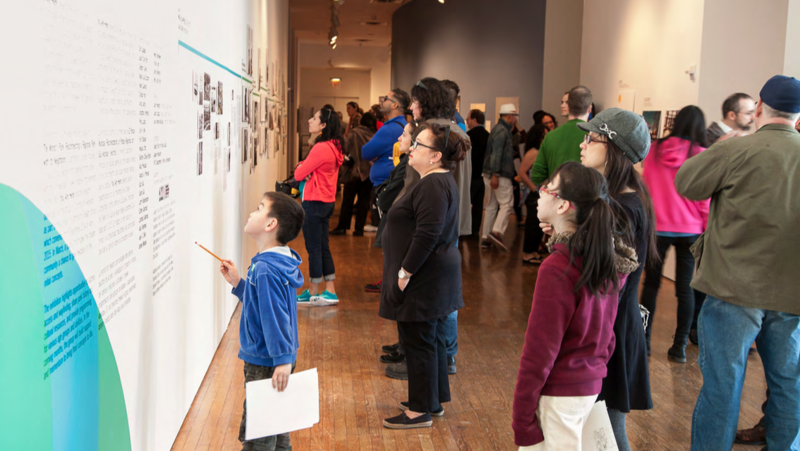 Additional funding is provided by the Design Trust Founder’s Circle, including Agnes Gund, Kitty Hawks, Sophia W. Healy, Lily Auchincloss Foundation, Camila Pastor & Stephen Maharam, and Kelly Posner.